Christine Blasey Ford, the woman who recently came out and accused Supreme Court nominee Brett Kavanaugh of sexual assault 36 years ago, says she will testify before the Senate Judiciary Committee under the condition of an FBI investigation. Republicans and the Trump White House are standing firm on their argument the case doesn’t warrant such an action, and the Justice Department appears to be concurring on the matter. Host Chip Franklin and his co-host, Nikki Medoro, both agree with the sentiment. Franklin thinks the probe into Kavanaugh’s past is vital, especially when considering red flags that have surfaced and Blasey Ford’s ability to corroborate her account that a drunk Kavanaugh held her down at a party, groped her and covered her mouth when she tried to scream for help. 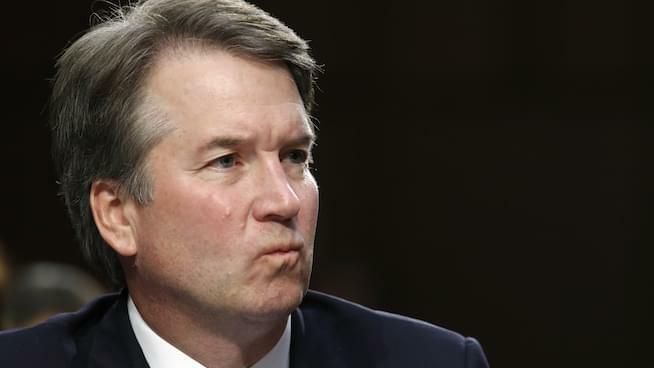 He can’t stand those who are downplaying Blasey Ford’s claim, which he acknowledged took a lot of courage to reveal. Franklin is taking particular issue with Senator Orrin Hatch’s comment to Bloomberg that it “would be hard for senators to not consider who he today” even if Kavanaugh did commit sexual assault. In the podcast below, beginning at the four minute mark, Franklin and Medoro explain why they scenario is worthy of an FBI investigation in-depth and take listener calls!